Media buyers have lots of options when they spend ad dollars: TV, Radio, Magazines, Newspapers and Digital Advertising on the internet. 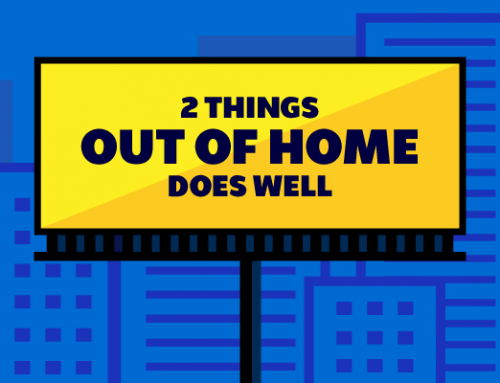 This post will discuss the advantages of out of home versus other competing forms of media. 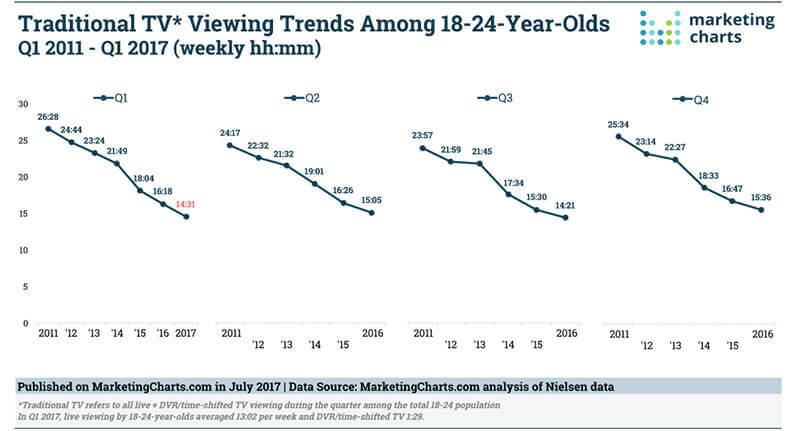 TV viewership is declining, especially among 18-24 year olds as cord cutters get their entertainment from the internet. The use of DVR’s eliminates the impact of commercials. TV skews old with a median viewer age of 54 years. 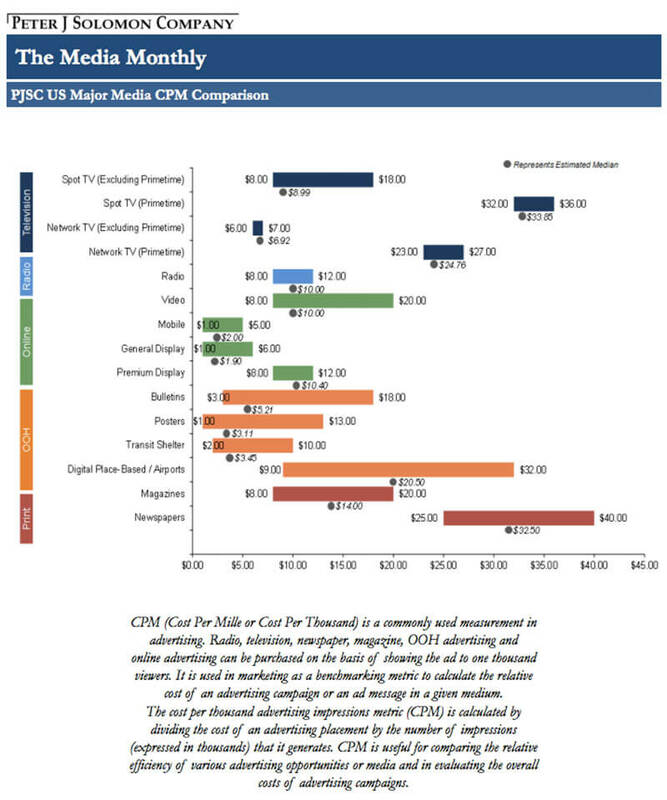 TV is more expensive than out of home with a median prime time cpm (cost per thousand views) of $25-35 versus a median cpm of $3-5 for out of home bulletin advertising. Radio provides a popular way of reaching commuters at peak travel times. 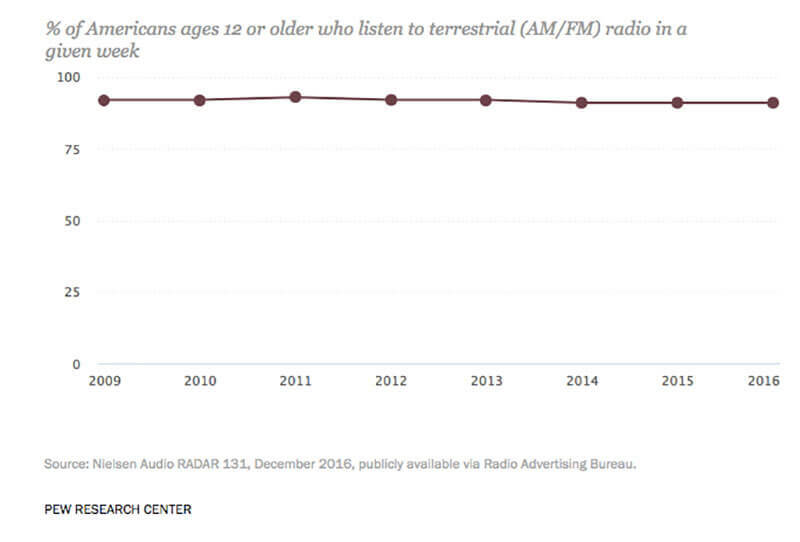 Radio, like out of home, has benefited from the lengthening of the average commute by and radio listening has been stable. No visual stimulation to promote message recall. Commercial clutter fragments messages and promotes dial changes. Music stations play and average of 12 minutes of ads every 60 minutes. Talk radio stations play an average of 20 minutes of ads every 60 minutes. 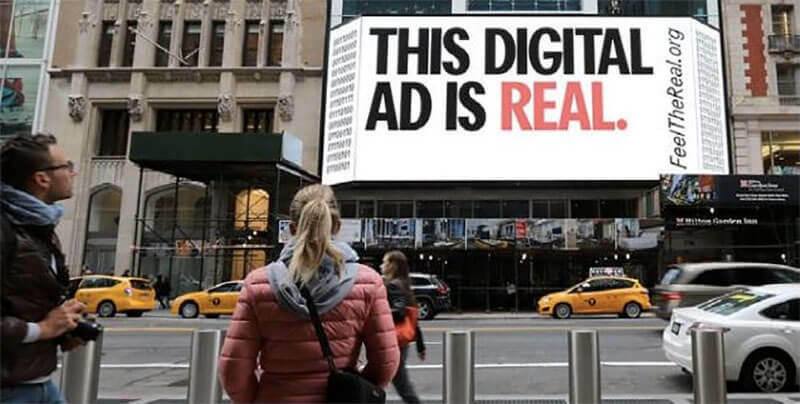 Radio is more expensive than out of home with a median cpm of $10 versus a median cpm of $3-5 for billboards. Magazines provide an ability for selective targeting based on demographics, interests or lifestyle. Magazines are high quality and readers may actually seek out ads if they relate well to content. Think of computer ads in a computer magazine or fashion ads in Vogue. 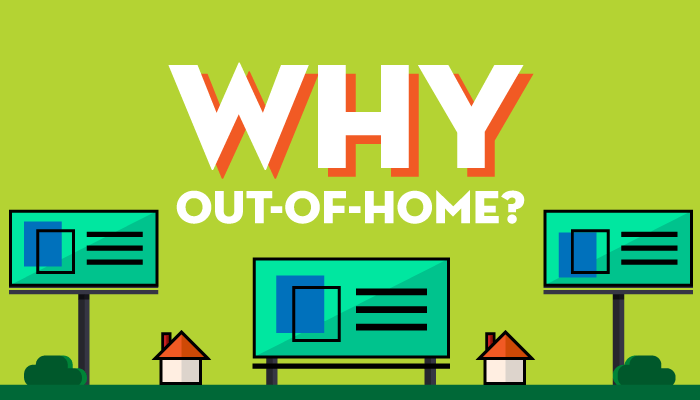 Magazines have the following disadvantages versus out of home. Long lead times are necessary due to printing schedules. 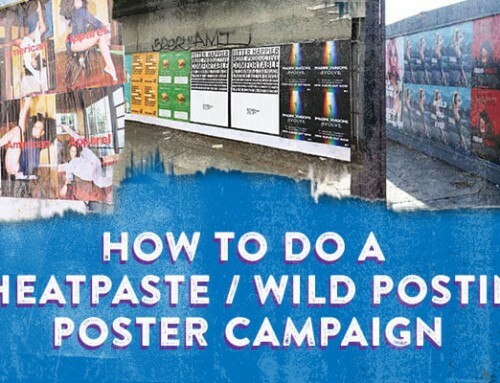 Magazines are expensive with a $14 cpm versus a median cpm of $3-5 for billboards. Magazine circulation has been shrinking as consumers choose to get their information and entertainment online. A shrinking market. 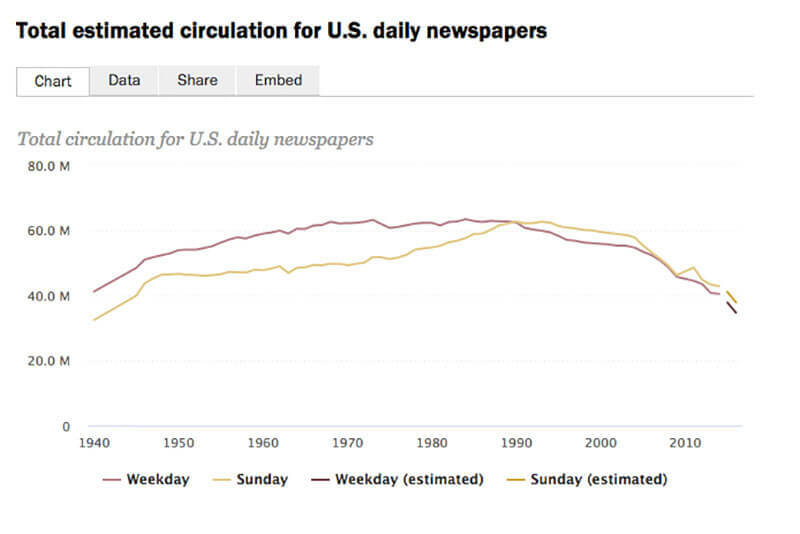 Newspaper circulation has dropped in half since 1990. Circulation declined 8% in 2016 as readers cancelled subscriptions and shifted activity online. 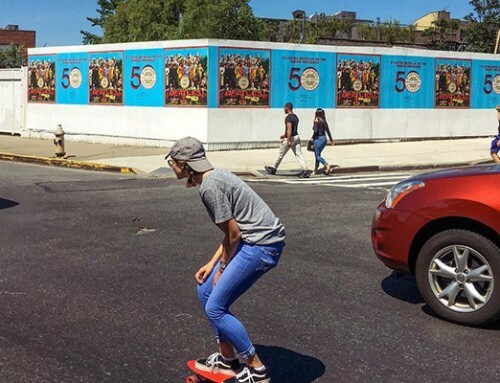 Newspapers expensive with a cpm of $32 versus a median cpm of $3-5 for billboards. Newspaper readership is skewing old. Few young consumers subscribe. Newspaper ads have a short shelf life because papers are thrown out after a day. 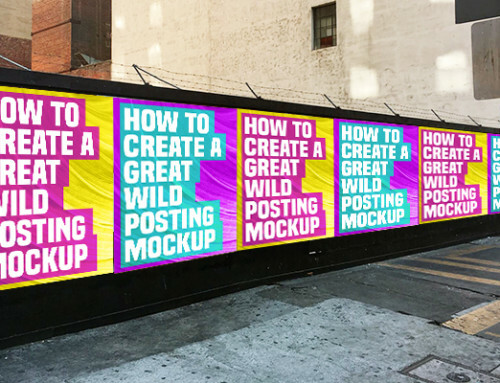 Premium online display advertising can be more expensive with a median cpm of $10 versus a median cpm of $3-5 for billboards. Ad click fraud is an issue. The Association of National Advertisers computes that online ad fraud cost advertisers $7.2 billion or 10% of all online advertising dollars spend in 2016. 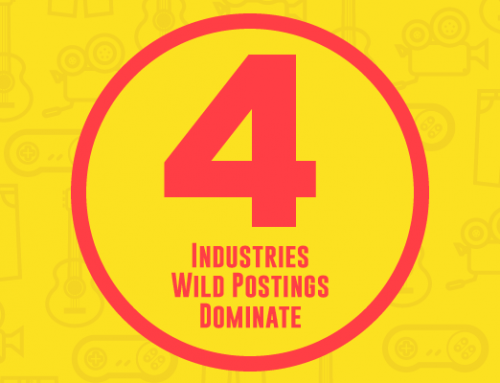 The out of home industry highlighted with a highly successful Feel the Real ad campaign. Advertisers can’t always control where their ads are shown. Several brands like Nordstrom and Vodaphone were embarrased when their ads were shown on extremist facebook and youtube websites.